SAN JUAN, Puerto Rico — Making a living as an independent musician is tough enough, but add to that surviving a major hurricane that damaged equipment and property and upended scheduled gigs and concerts. To help musicians in Puerto Rico, a group of fellow artists came together and created a way to lend them financial support. Approximately 40 Puerto Rican musicians have received micro grants of 500 dollars, which the recipients have used for Hurricane Maria related expenses, all through the work of the Puerto Rico Independent Musicians and Artists (PRIMA) Fund. The fund was the brainchild of New York City-based musicians Raquel Berríos and Luis Alfredo Del Valle from the Brooklyn, New York based alternative pop group Buscabulla and Ani Cordero, a musician and singer-songwriter. The independent music scene in Puerto Rico has been struggling over the years, partially because of the deep economic recession that has plagued the island for about a decade. After the devastation brought by Hurricane Maria, many independent musicians lost not only gigs but their day jobs, which allowed them to pursue music at night. “It was a huge change in our lives," said Luis López and Angel Figueroa, from the alternative music group Los Wálters, who were not able to perform the four or five gigs they had scheduled for November and December. That represented a big financial loss for the independent musicians, who started their group in 2011. Alfredo Richner, who’s been at the helm of the blogPuerto Rico Indie since 2009, said times have been tough. “There’s very little opportunity for most artists on the island — everything is cuesta arriba (uphill) and even though some bands that come up from our independent scene are starting to gain some traction, most of them are the ones that have left the island,” he said. Through PRIMA, a network of musicians have engaged in several fundraising efforts, including playing shows, selling tote bags and merchandise and releasing a compilation album, Superando las Tormentas, (Conquering the Storms), recorded by a group of island and mainland based artists. Andrea Cruz, a singer-songwriter who will be soon be playing at South by Southwest in Austin, is one of the micro grant recipients. Her album “Tejidos de Laurel” was released two days after Hurricane Maria reached Puerto Rico, and among the storm's repercussions was the cancellation of her music video shoots. The grant made it possible to film a live session of “Canción de Amargura” with musicians in the town of Cayey in Puerto Rico that is now available for viewing on platforms like Facebook and YouTube. “I think that 500 dollars is a lot of money," said Cruz. "I felt very grateful because they’re boricuas too, the boricuas of the diaspora representing us and providing us with that help and making people notice us." Indie music veteran and grant recipient, Jose Luis “Fofé” Abreu, found out about the PRIMA Fund grant through Puerto Rico Indie and social media. A multiple Latin Grammy nominee with the band Circo, in addition to his current work with Fofé y Los Fetiches, Abreu had been playing gigs regularly before the hurricane. His new music is set to be released this year; the hurricane inspired him to create the song “Toque de Queda,” which means curfew, which was implemented in the island for weeks after the storm. He will give the release's proceeds to PRIMA so the fund can help other musicians. 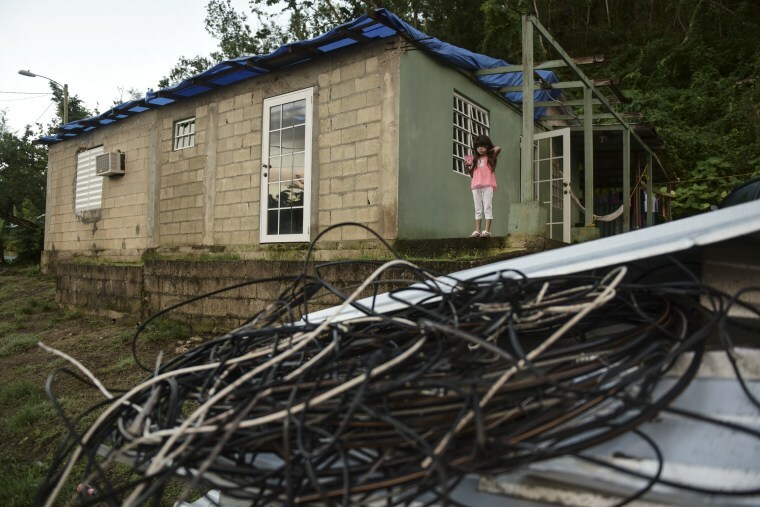 Berríos said that the fund has long-term goals and is working to shift from providing emergency grants to supporting programs, events and creating a platform to connect the diaspora to people on the island. She thinks that initiatives similar to the PRIMA Fund were needed before the hurricane, and its creation now gives these musicians a platform to cope with Puerto Rico’s new reality.